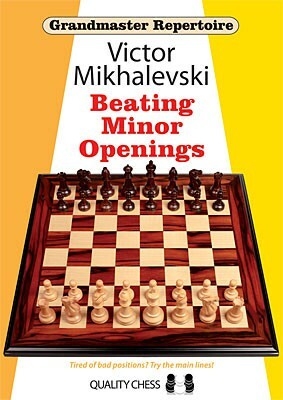 Produktinformationen "Mikhalevski, Beating Minor Openings - kartoniert"
The most critical moves covered are 1.c4 and 1.Nf3. Against the latter, Mikhalevski supplies a range of replies to allow for transpositions to most queen s pawn openings. In a review of Mikhalevski s previous book for Quality Chess, IM John Cox commented: Given the goal the book has set itself, I don t believe the job could have been done better. Weiterführende Links zu "Mikhalevski, Beating Minor Openings - kartoniert"
Kundenbewertungen für "Mikhalevski, Beating Minor Openings - kartoniert"